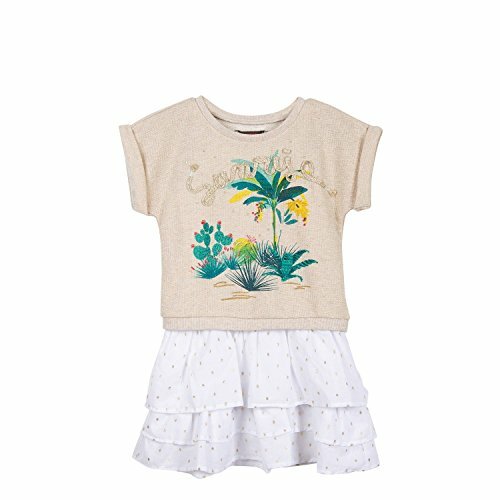 Chic and fresh outfit for girls: strappy dress in dotted swiss cotton voile with gold polka dots, beneath a short-sleeved sweatshirt in shiny gold fleece. Multi-layer ruffle hem dress with elasticated waist for a romantic look for girls. Crew neck sweatshirt with turn-up short sleeves. Large oasis theme on front, with glittery ribbon text below.